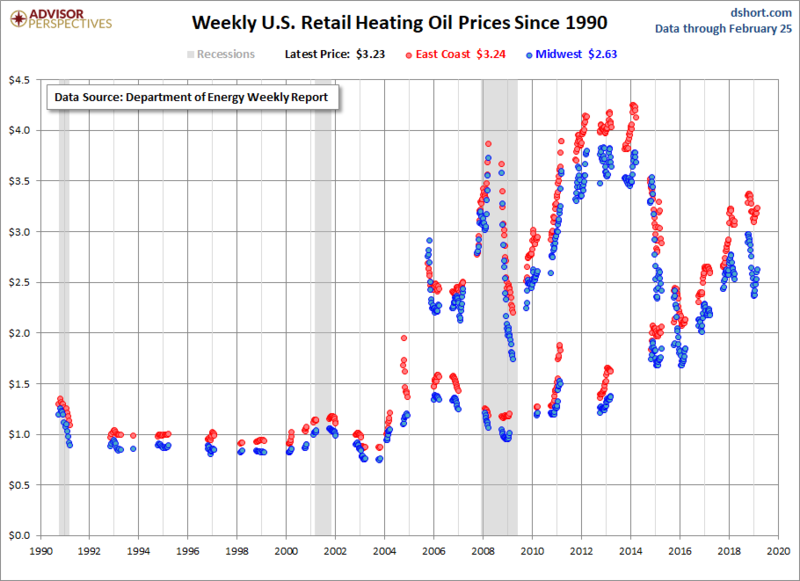 We've used data from the Energy Information Administration (EIA), which publishes price data weekly on home heating oil in 38 states by dollar-per-gallon before taxes. Unlike natural gas and electricity, home heating oil is provided by independent retailers. The latest price of home heating oil nationwide is $3.23, unchanged from last week and down six cents since the beginning of the season. 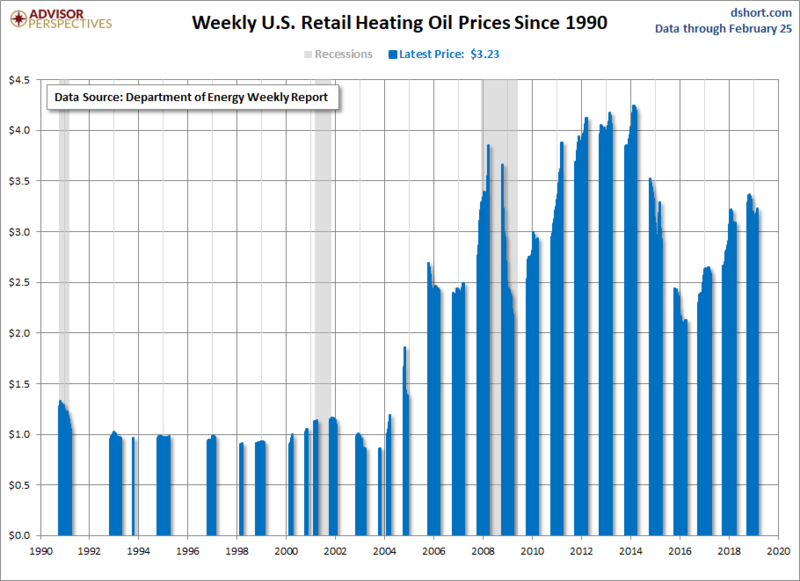 EIA's heating oil data is seasonal - from October through March. Here's a look at the series since its inception in 1990. The next chart shows a regional breakdown. As you can see, it's extremely volatile. Another figure the EIA tracks is the residential oil supply. 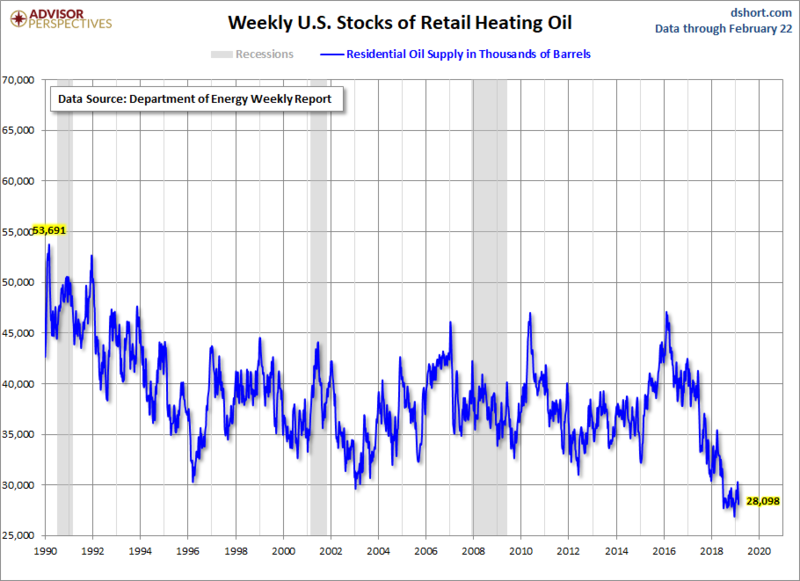 The chart below shows the minimal changes in residential heating oil supply since 1982. 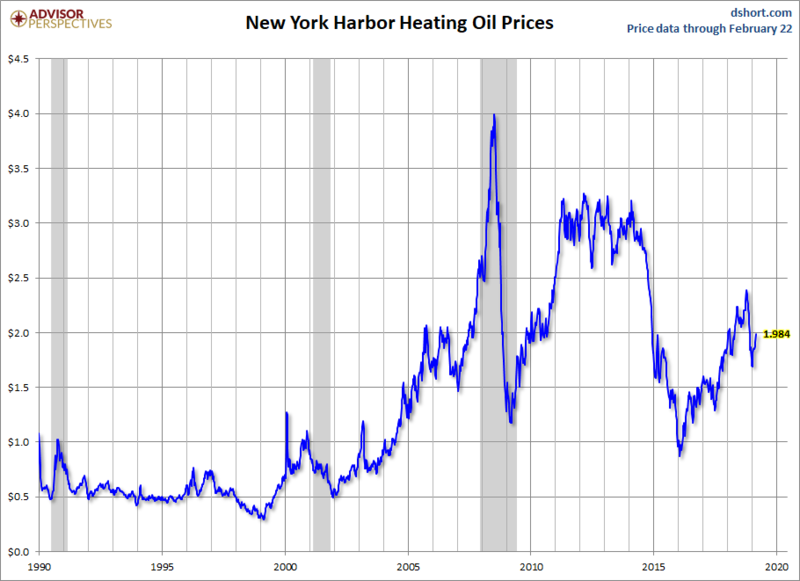 The next chart shows the New York Harbor (NYMEX: HO) spot prices going back to 1986.